Chateau Cissac is a historic Haut-Médoc wine property which dates from 1769. Located in the northern-most Haut-Médoc appellation, the property and appellation share a similar climate to that enjoyed by the Médoc: maritime, with the Gironde estuary and the Bay of Biscay combining to act as a climate regulator and the coastal pine forests sheltering the vines from the westerly and north-westerly winds. 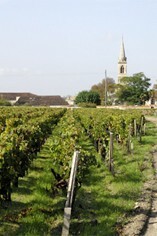 The soil, less diverse than in the Médoc, is predominantly sandy, with gravel. Château Cissac belongs to the Vialard family, and its reputation was largely based on the tireless work of Louis Vialard, who arrived here in 1940 and established the wine’s fame through the 1970s and 1980s. He died in 2009 but his daughter Danielle had long taken over the wine-making and is now assisted by her own daughter, Marie. The vineyard is planted to 75% Cabernet Sauvignon, 20% Merlot and 5% Petit Verdot, and the average age of the vines is 30 years. The juice is fermented in huge wooden vats but is then aged in 225-litre oak barrels, 40% of which are new. 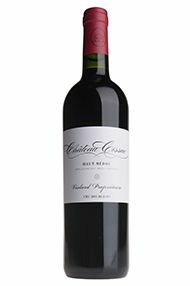 With the vineyard established on a bed of gravel over a limestone base, it is unsurprising to see such a predominance of Cabernet Sauvignon and the style of the wine mirrors this, as it is made in a classic Medoc style. Cissac is classified as a cru bourgeois.